XO Cashflow is a complete overdue payment solution that fully integrates with Xero and enables you to identify and follow up with overdue payments via automatic/personalized emails. XO Cashflow lets you view a complete overdue payment history and provides real-time graphs and reports. XO Cashflow offers a demo and freemium version (freemium - providing you have an existing account) with the need to add credit card details and comes complete with online support and knowledgebase. There are currently no reviews of xocashflow. Dashboard reporting: XO Cashflow gives you compete control over all your overdue financial reporting and lets you generate automatic email follow ups to contact clients. View complete payment history: With XO Cashflow you can create full reports to assess overdue payment statistics and view complete historical overdue payment details. Email templates and user accounts: XO Cashflow lets you save customized email templates in order to create a personal feel to overdue payment notifications. XO Cashflow also allows you to have multiple user accounts. 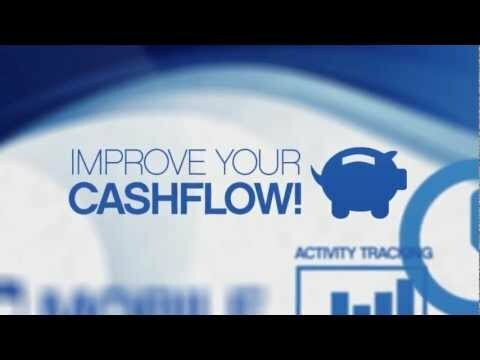 Demo version and tutorial: Before any financial commitment is required, you can avail of a free XO Cashflow demo version and video tutorial that will give you a greater insight into this overdue payment solution. Online support and knowledge base: XO Cashflow offer online email support and an entire knowledge base on the website. Users can also post public questions and engage in group chats. Below are some frequently asked questions for xocashflow. Q. What type of pricing plans does xocashflow offer? Q. Who are the typical users of xocashflow? Q. What languages does xocashflow support? Q. Does xocashflow support mobile devices? Q. Does xocashflow offer an API? No, xocashflow does not have an API available. Q. What other apps does xocashflow integrate with? Q. What level of support does xocashflow offer? Q. Which apps is xocashflow compared to most often?